Home » Info » Can You Get More Money Than the Insurance Policy? Answer: sometimes. We got GEICO to pay $155,000 when their insurance policy was only $25,000. Unfortunately, without getting into the facts of a particular case, it’s not possible to answer the question. 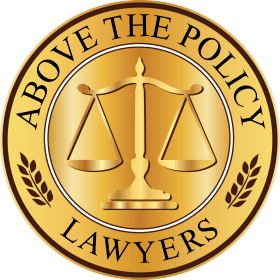 Usually, to get more money than the insurance policy your lawyer needs to send a really good detailed letter called a Bad Faith Letter. This letter tells the insurance company, the defendant and the defendant’s attorney (if any) of your intention to seek a jury verdict in excess of the insurance policy. Our Bad Faith letter is extremely detailed and five pages long. When a jury verdict is obtained that is more than the money paid by the insurance policy, the insurance company may file an appeal. If the jury verdict is upheld by the appellate court, the defendant insured can sue his/her insurance company and attorney for malpractice. It is likely that either the insurance company or the defense attorney’s malpractice insurance company will pay the amount above the insurance policy. The insurance company can avoid additional liability by offering to pay the entire insurance policy. However, insurance companies often refuse to offer to pay the entire insurance policy. Sometimes, they will offer to pay the entire policy at the time of trial but this is too late. If the offer is accepted, they will avoid having to pay more than the policy. This question usually concerns car accidents and motorcycle accidents which often have insurance polices with less coverage than needed for a serious injury. A company negligent for causing an accident usually has a very large insurance policy. Construction accidents, for instance, usually involve companies with enough insurance to pay a judgment as much $20 million or more. We know of a lawyer who recently accepted payment of a $100,000 policy at the start of a trial, four years after the accident, for the estate of a motorcyclist killed in an accident even though the lawyer won summary judgment which entitled the estate to 9% interest. Accepting the settlement offer let the insurance company off the hook for what would have probably been a much larger verdict and would have included 9% interest. While the offer probably should have been accepted if offered soon after the accident, we would not have accepted the settlement at the time of trial. Sometimes, even at the time of trial, it may be beneficial to agree to cap liability. We obtained a verdict of $465,000 for a knee injury but at the trial, we agreed to limit liability to the $300,000 policy, so that’s all we could get. But we had a good reason. We agreed to limit liability in exchange for an agreement to argue the injuries by presenting the medical records to the jury instead of having doctors testify. The problem was that our client’s doctor lost his medical license just weeks before the trial when it was found that he lied on his license renewal application. This would have allowed the defense attorney to ask, “Doctor, have you ever lied before?” The jury would also be instructed by the judge that if they found that any witness has lied, they would be allowed to discredit the testimony of that witness. With the defense presenting three doctors to argue that there was no injury, it was obviously beneficial to avoid having our client’s doctor testify. It also saved our client $10,000 for the doctor’s testimony fee. Another benefit was that it prevented the defense from appealing the verdict and our client could get the money immediately. Whenever the insurance company makes it possible, we will seek judgments above the insurance policy. An upcoming article will discuss pursuing a judgment against the defendant’s house or other assets. See how we have made insurance companies pay for court costs when they offer the entire insurance policy after we file a lawsuit.